kidslooklikekats: Mount Eerie: "Lost Wisdom". Lost Wisdom "is a quiet echo by the edge of the stream at dusk", in Mount Eerie's own words, and somehow I believe that coming from the pair of Phil Elverum and Julie Doiron, no matter how chilling the vocal and instrumental delivery of so calming a metaphor. 2008's daringly short Lost Wisdom seeks to display all there is to display behind the eyes of two soft-spoken emotional wellsprings, utilizing solemnity and...tedium? Our title track at once becomes a 21st-century exploration into Cash-inspired, backwoods desperation that Connor Oberst captured much more poetically as a pimple-faced grumpkin operating inside the attic of his parents' house after school, which is harsh yet painfully true, and the next couple tracks pass by nearly undetected. The album tracks prove to be sardonically lo-fi in quality, yet quirkily offset by their indie-mainstream folk-pop tendencies, and much of the fairly fresh lyrical content is entirely overshadowed by far too much pretense and musical banality, rendering the whole of this lo-fi offering simply a cheap, hasty attempt at hi-fi integrity and structure. "Who?" and "Flaming Home" bring to mind an uninspiring Sam Beam impression, as well as some disappointingly weak melodies and unemotionally-charged harmonies which offer very little of the impact that other folk-pop collectives, such as Calexico and Vetiver, so easily and eloquently achieve. In the same light, staying within the confines of lo-fi folk-pop, this hangs nicely on the lower bows of the sub-genres family tree; there is nothing inherently terrible about the record, and yet there is also a complete lack of originality wherever Lost Wisdom's creative juices do flow. 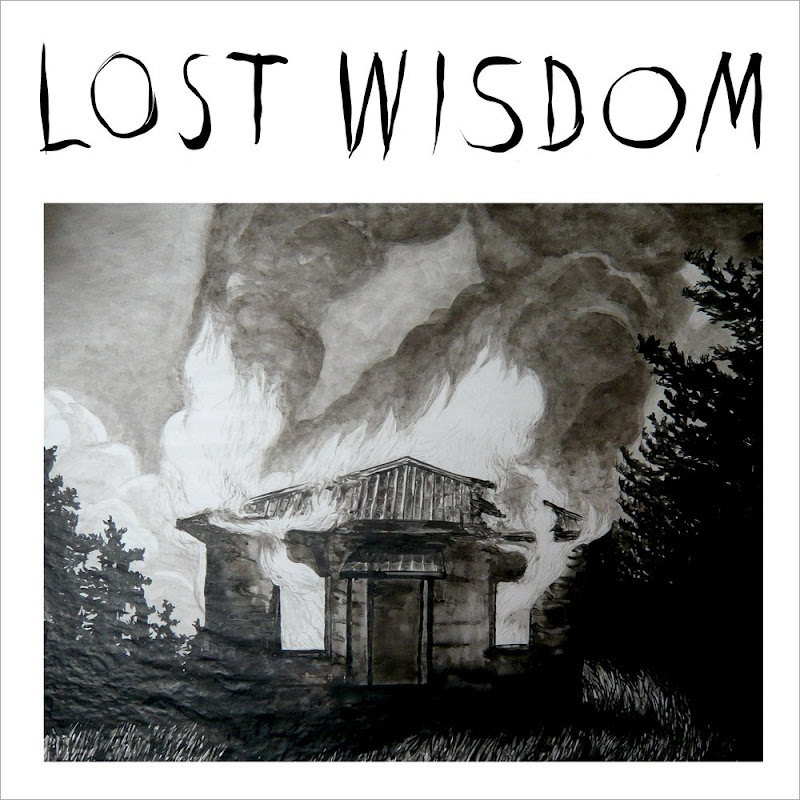 In summation: Lost Wisdom is the bootlegged coffeehouse cover of Every Day and Every Night, and I guess that inevitably makes Mount Eerie the new "Trite Eyes".